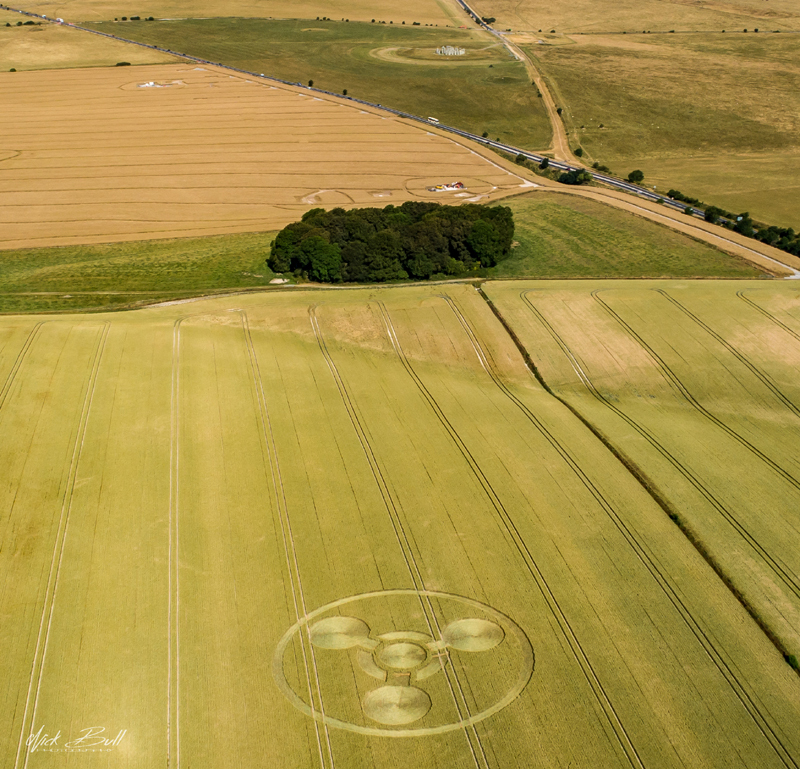 Coneybury Hill, Nr Stonehenge, Wiltshire. 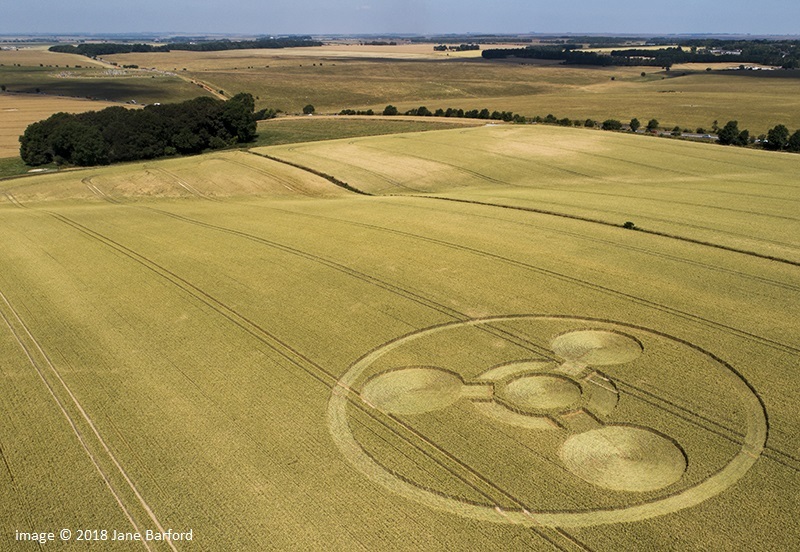 Reported 8th July. 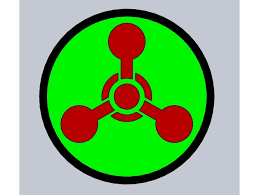 We have just heard of the tragic death of Dawn Sturgess who came into contact with a chemical weapon in Salisbury, Wiltshire, UK. 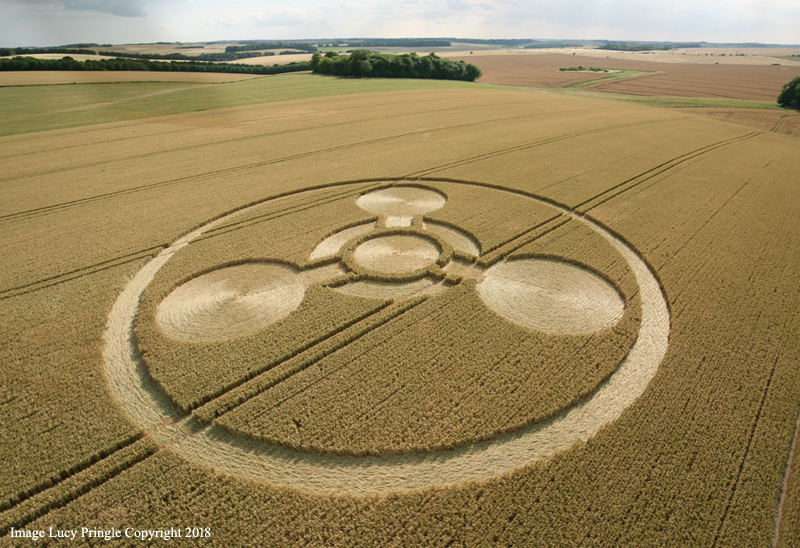 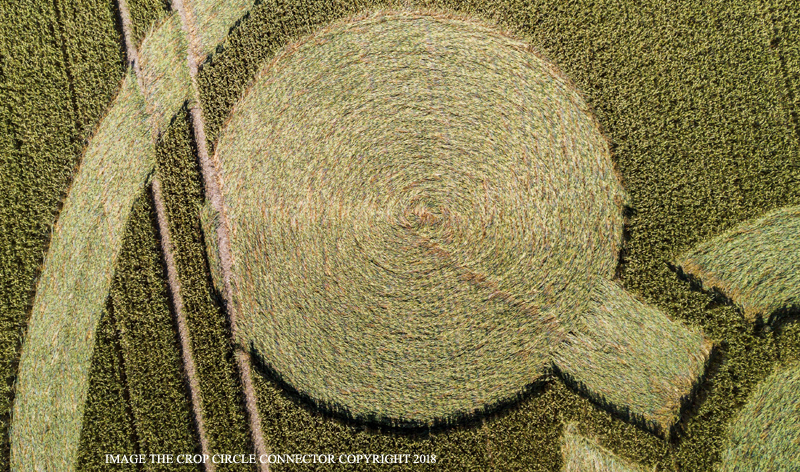 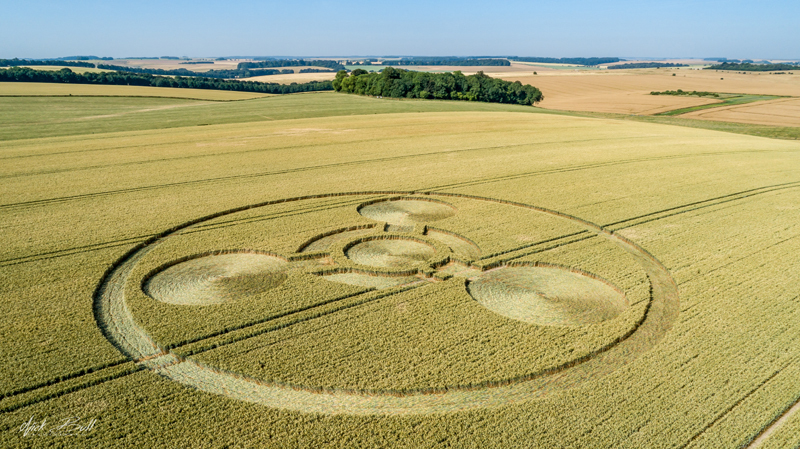 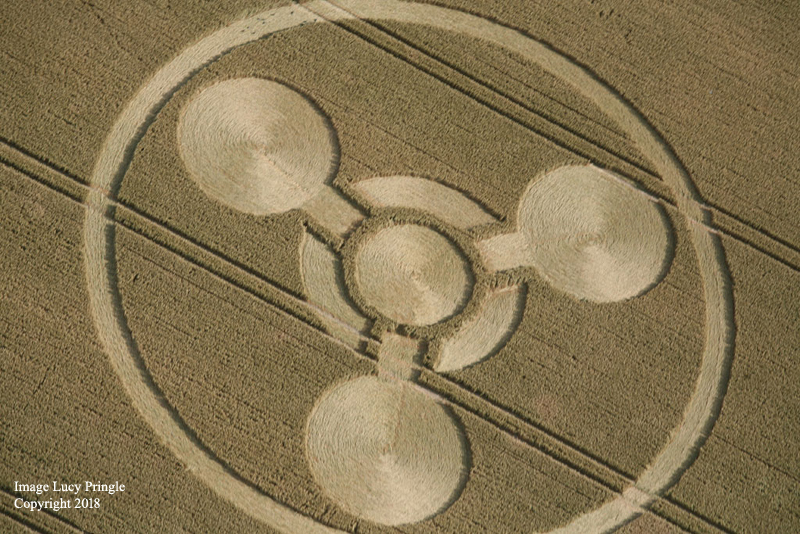 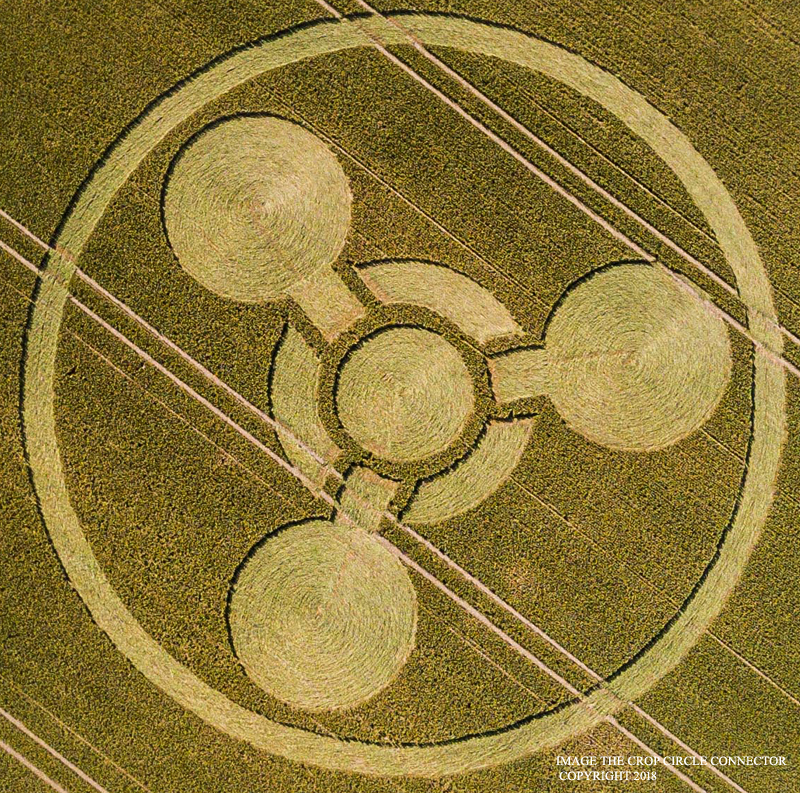 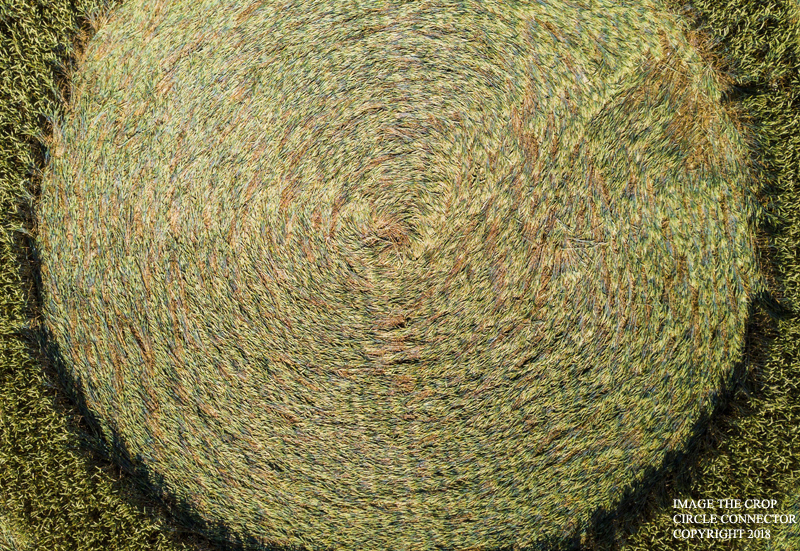 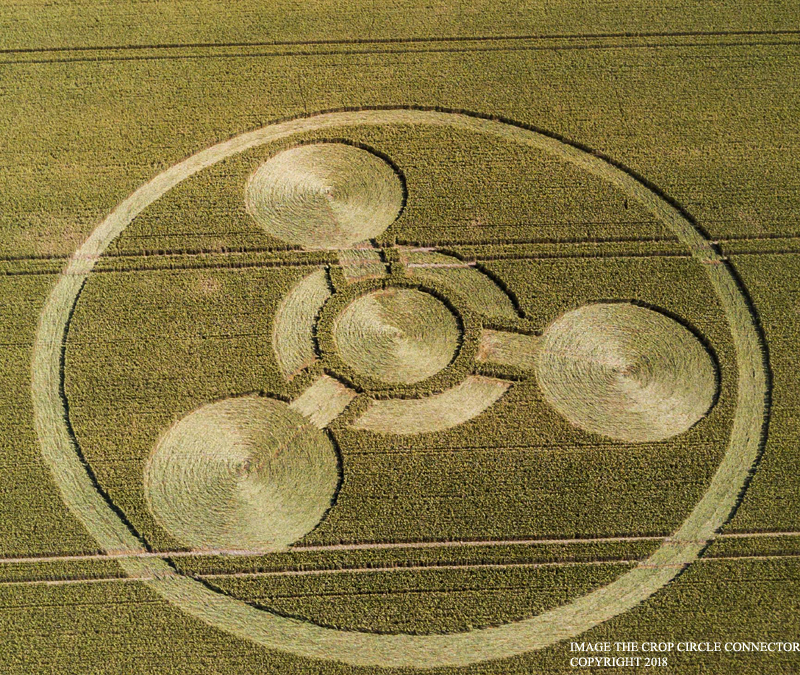 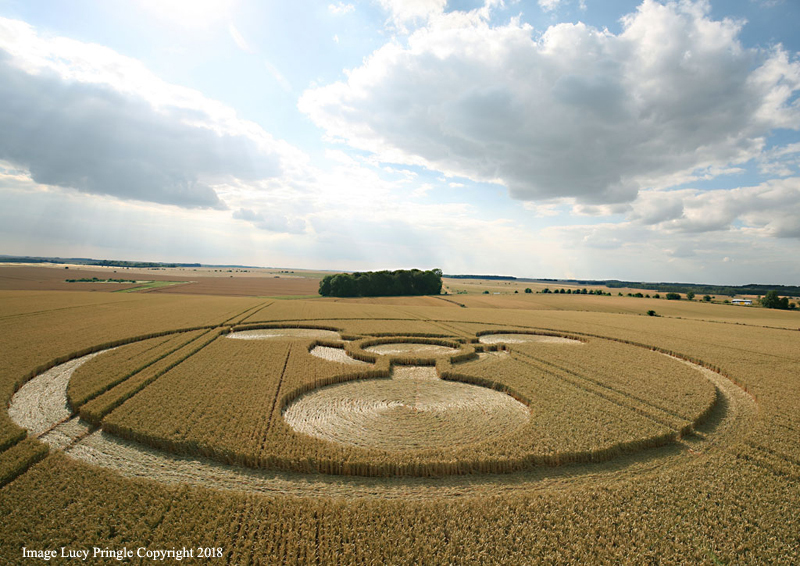 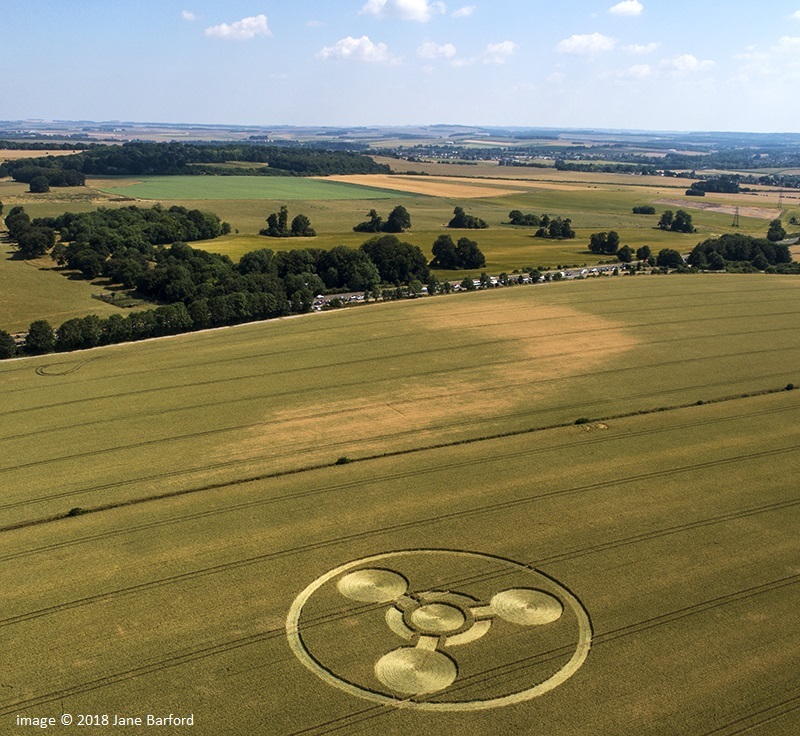 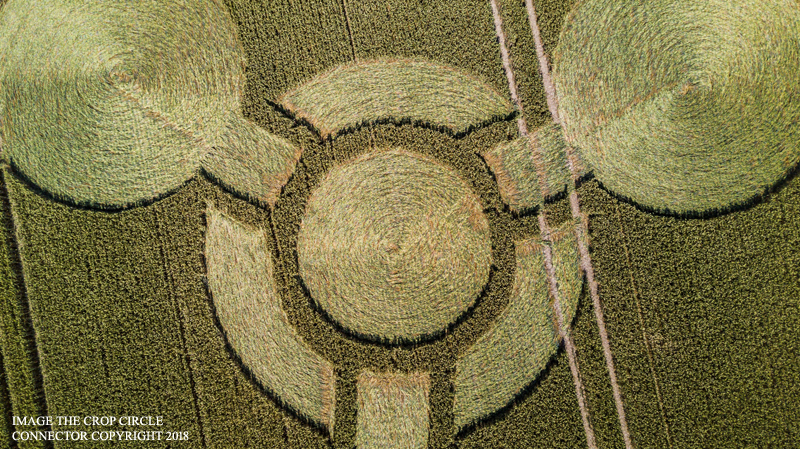 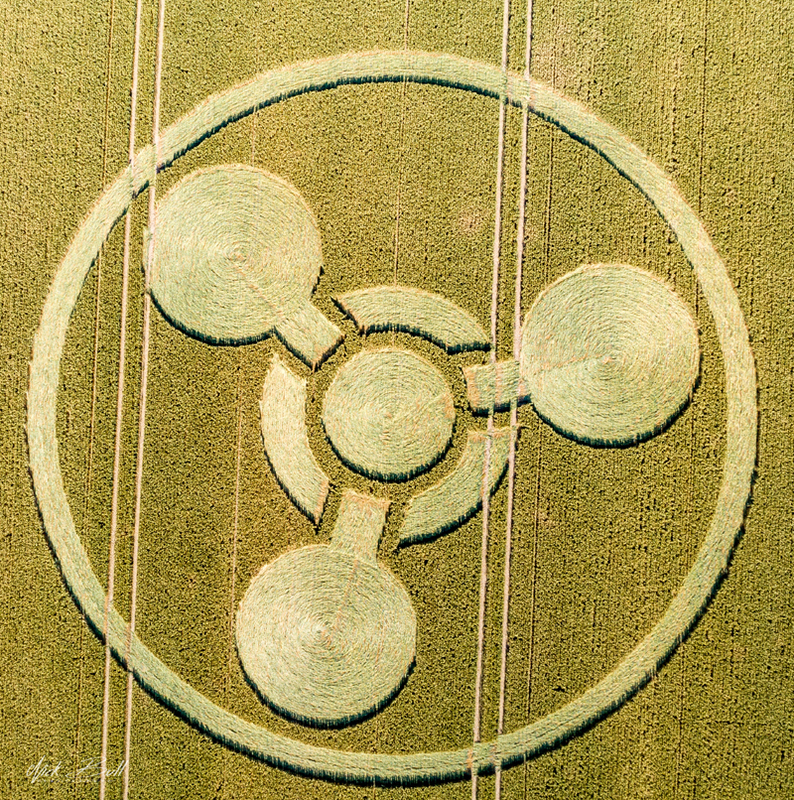 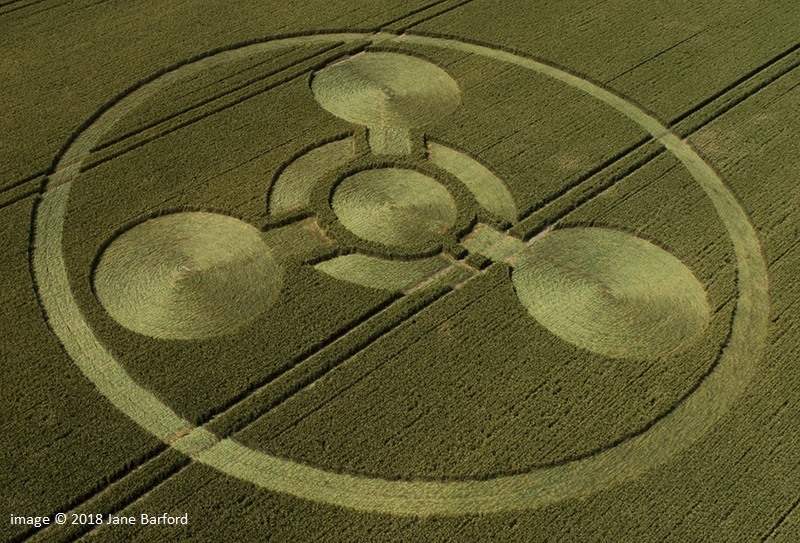 - This crop circle reported earlier today symbolises the danger to the human race of such deadly weapons. 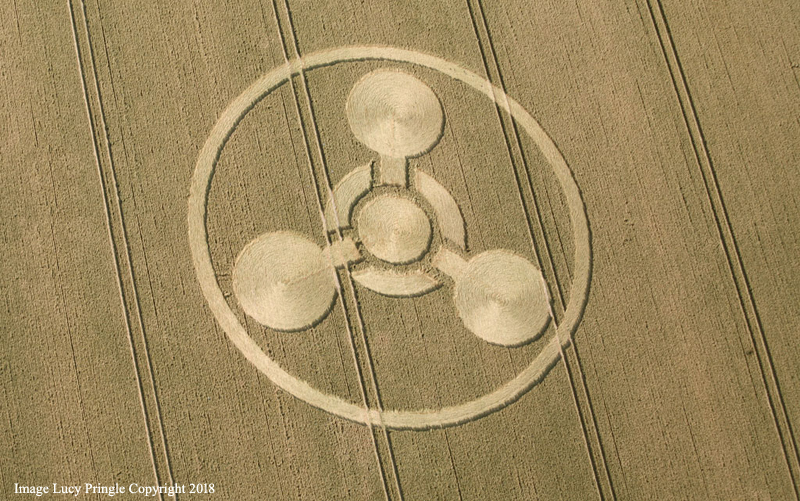 Coneybury Hill, Nr Stonehenge, Wiltshire. 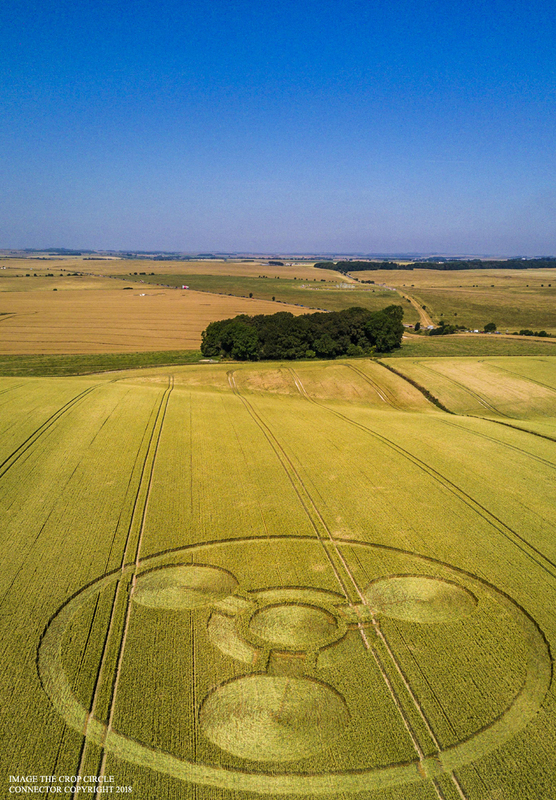 8 July 2018. 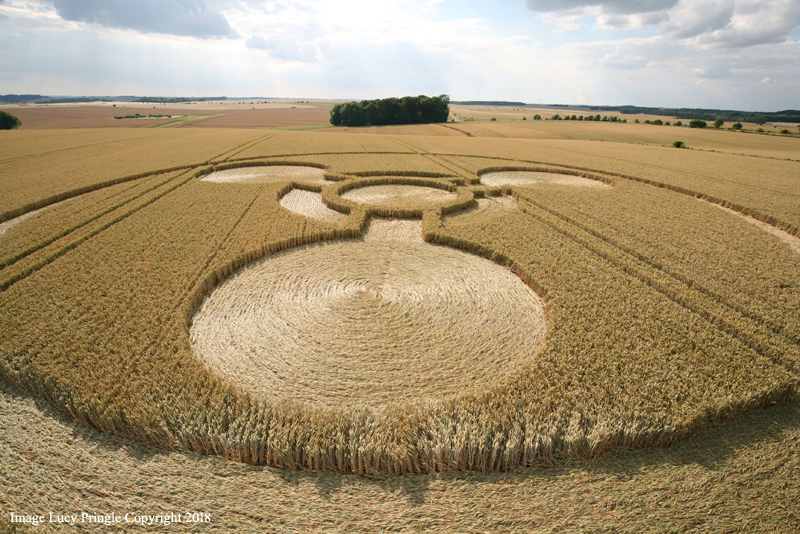 Barley. 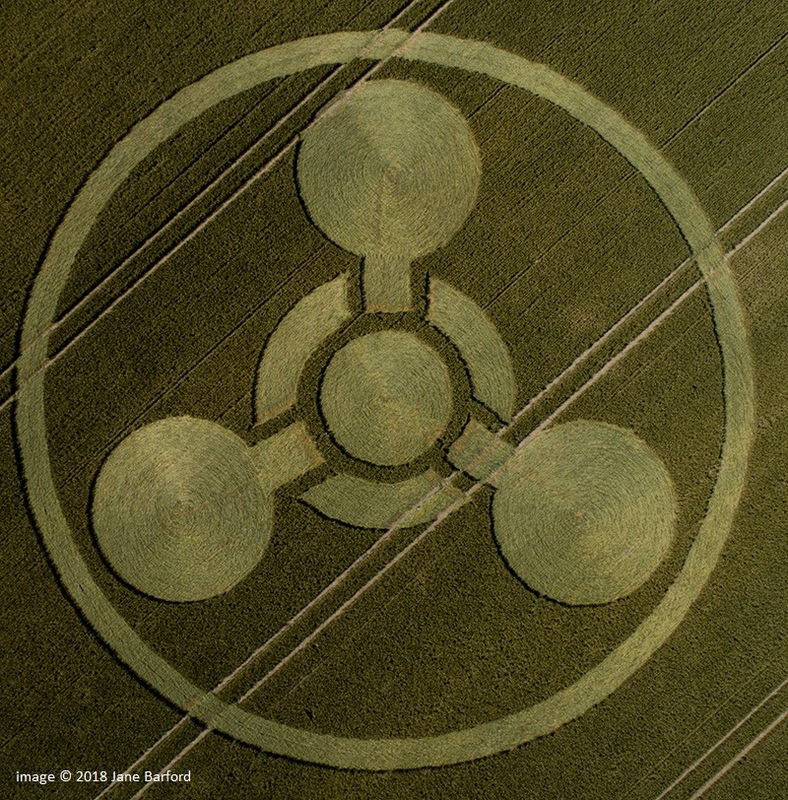 c.130 feet (40m) diameter.